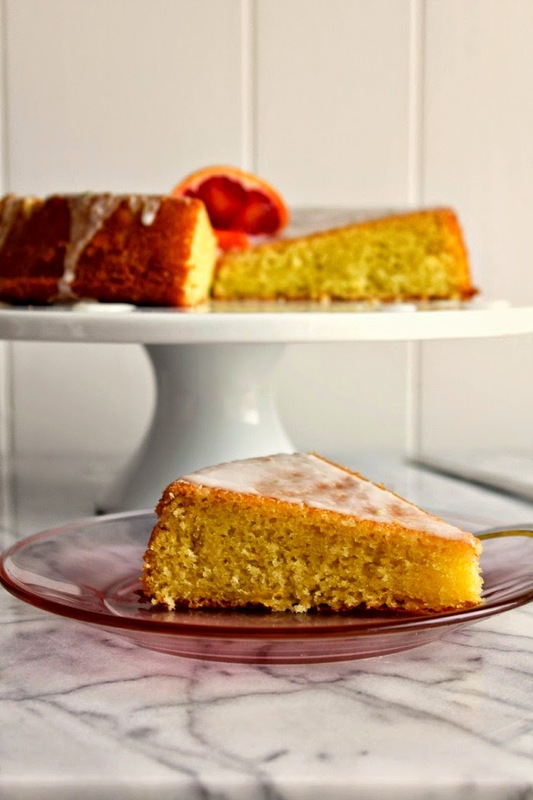 This cake is light, tender and full of fresh citrus flavors. It's so delicious, it won't last long! I love citrus fruits. 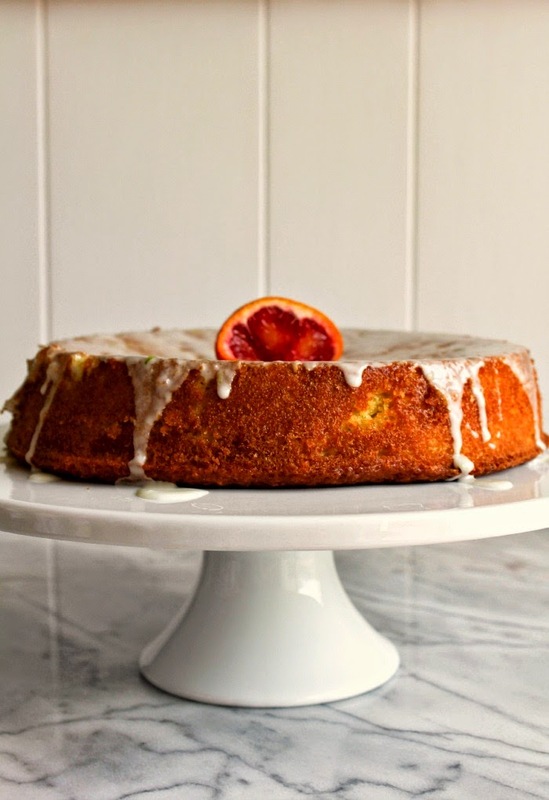 I also love to bake with citrus fruits. They make everything so light and flavorful, and I never feel guilty about eating dessert. This time of year is perfect for all things citrus. From oranges to lemons to tangerines, I want to devour every single one. 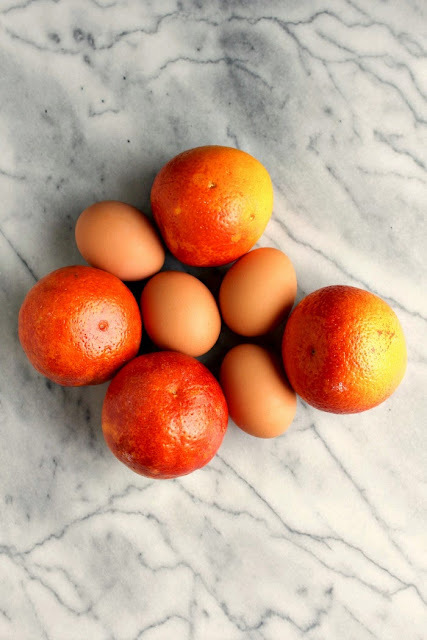 I received some beautiful blood oranges in my recent Door to Door Organics delivery, and could hardly wait to make something with them. It took me a bit to decide what to do, but I am incredibly excited over the recipe I developed. This cake is so simple to make, and you should have everything you need in your pantry already. Well, maybe except for the oranges. I also used the gorgeous Green Meadow Organic Eggs from my DTDO order. I adore these eggs and include them in my order every single week. Again, this cake is simple, but perfectly delicious. Made with olive oil, it's the most light and tender cake I've had in a long time. 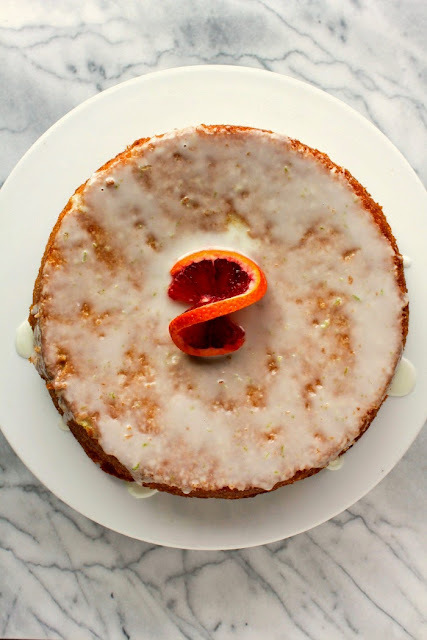 And the citrus flavors just shine through. This cake would be perfect for Cinco de Mayo or Mother's Day, but honestly you don't even need a reason to make it. Just be sure to make it soon. Preheat the oven to 350 degrees. Spray a 9-inch round cake pan with non-stick baking spray and set aside. Zest all of the oranges and juice one of them. Whisk the zest, juice and olive oil in a small bowl until well combined. In the bowl of a stand mixer, beat the eggs until light and fluffy. Carefully beat in the sugar until combined. Whisk together the flour, baking powder, and salt, then slowly add to the mixer. Add the oil/citrus mixture and beat just until incorporated. Pour the batter into the prepared pan and bake for 50 minutes, or until a cake tester inserted in the center of the cake comes out clean. Cool on a rack for 15 minutes, then remove from the pan and allow to cool completely. While the cake is cooling, make the icing. Zest and juice the lime. Whisk that together with the powdered sugar until smooth. Drizzle over the top of the cooled cake. Slice and serve. Disclosure: I'm proud to be a 2015 Door to Door Organics Brand Ambassador. I received some products at no cost to me, however, all opinions are 100% my own.